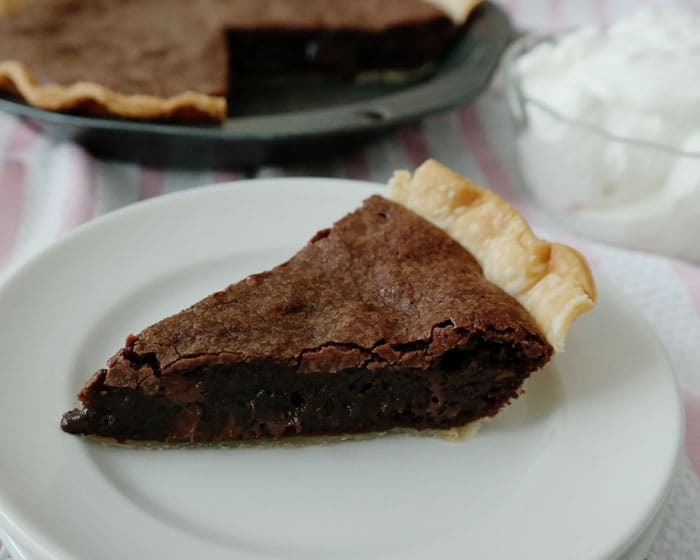 Easy Brownie Pie - Chocolate Chocolate and More! 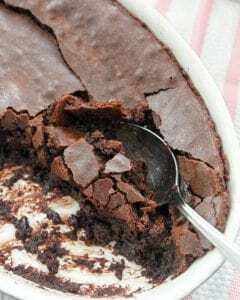 Easy Brownie Pie-taking brownies to the next level and creating an easy dessert-a flaky pie crust surrounds a rich brownie with a thin crust on top and in the middle a gooey, fudgy delight! This time of year seems to be all about pies. Pumpkin Pies, Apple Pies. Pie is always present at holiday gatherings. I’m not a big pie maker. Mainly because my crusts never look pretty. And then when I slice it, especially, that first slice, it looks like the slice when through a wood chipper. Pies are hard for me. But pie is expected. So I cheat. I use the refrigerated pie crust. 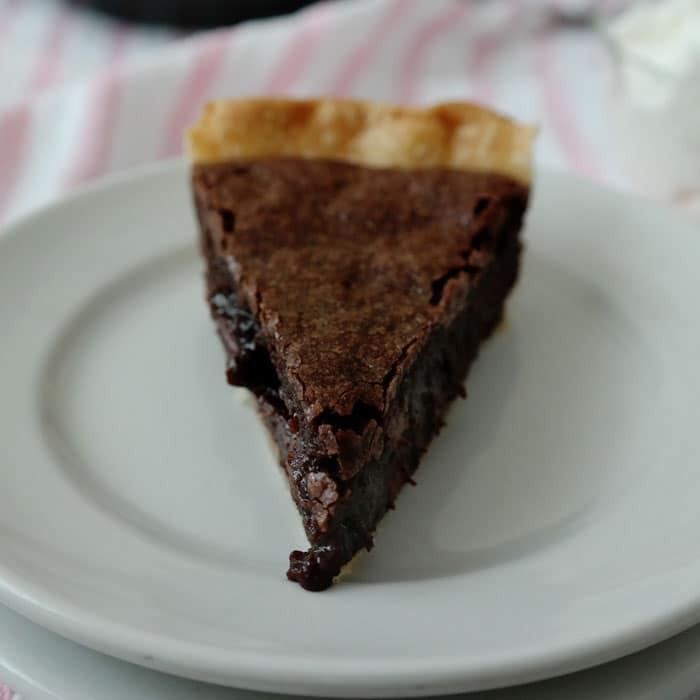 Yes, I have a great recipe for pie crust, made with butter, it comes out flaky and tender. But this is just easier. And I’m all for easy. Feel free to make a scratch pie crust if you want. I won’t judge you. I promise. Besides, it’s what’s inside that counts. 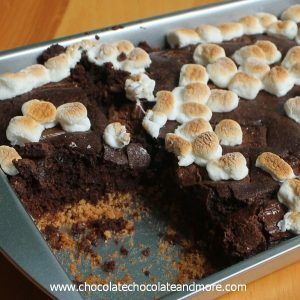 Ooey, gooey, fudgy brownie deliciousness. And that thin crisp top coat brownies are famous for. That’s what really matters. 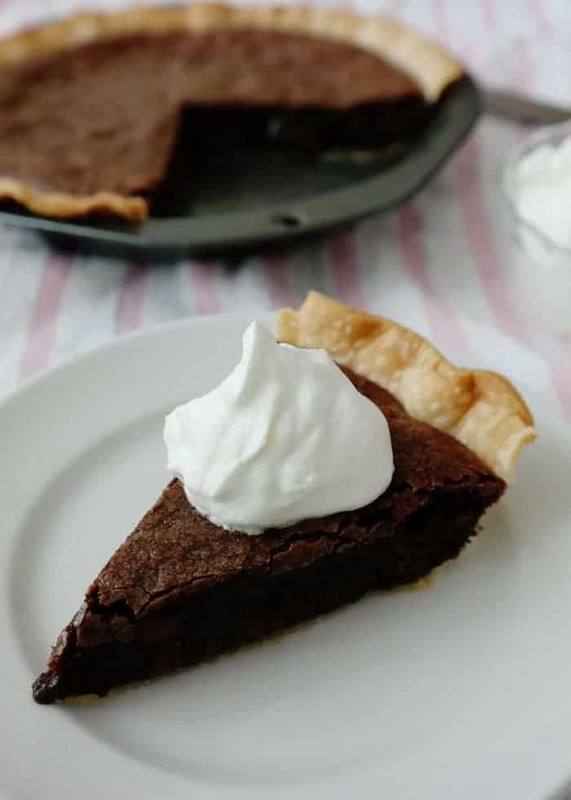 Top it with a scoop of vanilla ice cream, some fresh whipped cream or even Cool Whip. I won’t judge you. It’s all about the easy, and the delicious! 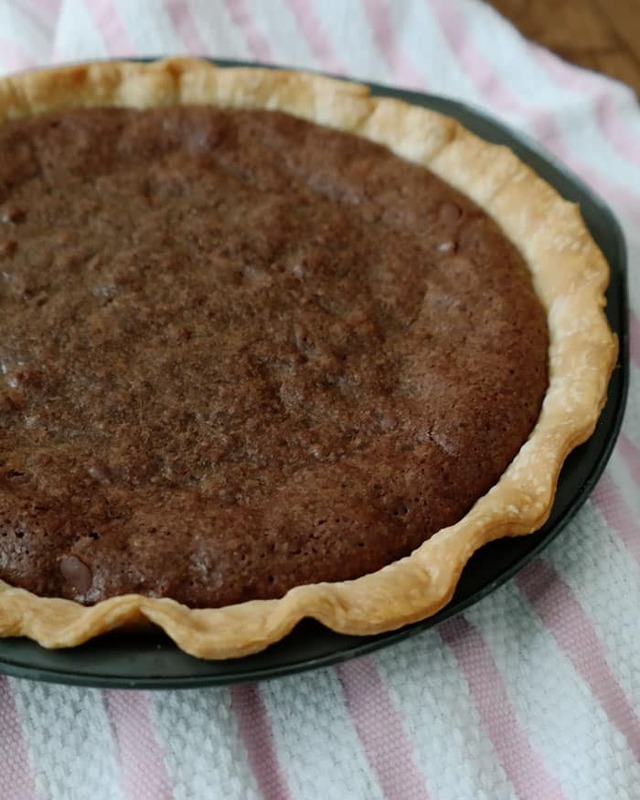 Place Pie crust in a pie pan and set aside. in a medium saucepan, melt butter over low heat. Add chocolate, stirring until completely melted. Remove from heat and stir in sugar. Add flour, eggs, vanilla and salt. making sure all ingredients are mixed in well. Stir in chocolate chips. Spread mixture into pie crust. Bake in a preheated 350 degree oven for 25 minutes, until top has a crust and sides are firm. Remove from oven and let cool completely. This brownie pie looks most excellent! Thanks Julianne, I hope you like it! Amen Sister! You are preaching to the choir. Can’t wait to try this, and what a nice addition to the usual selection of pies. I am all about the easy too! Sometimes I just don’t have time to make EVERYTHING from scratch! This looks delicious! 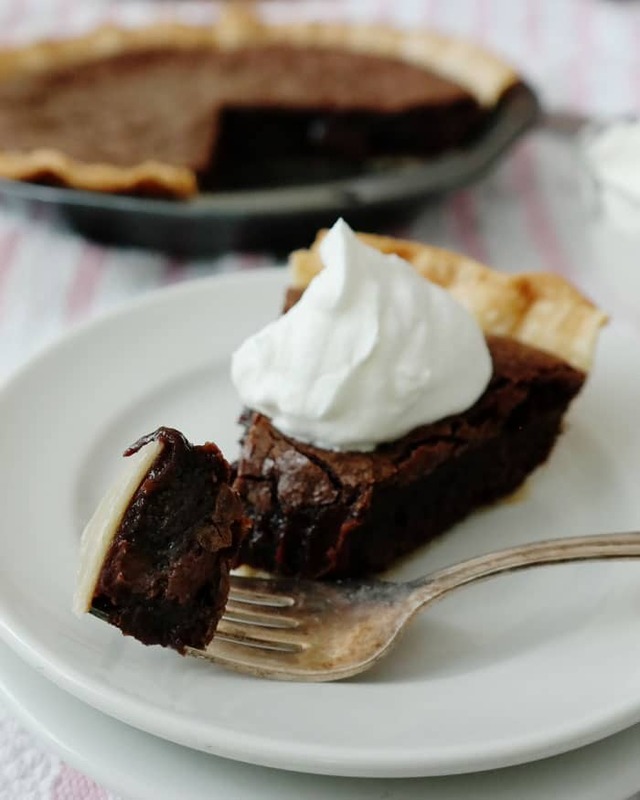 There’s something about a brownie in a pie form that is just so delicious–I love the combination of the flaky pie crust and the chewy brownie! 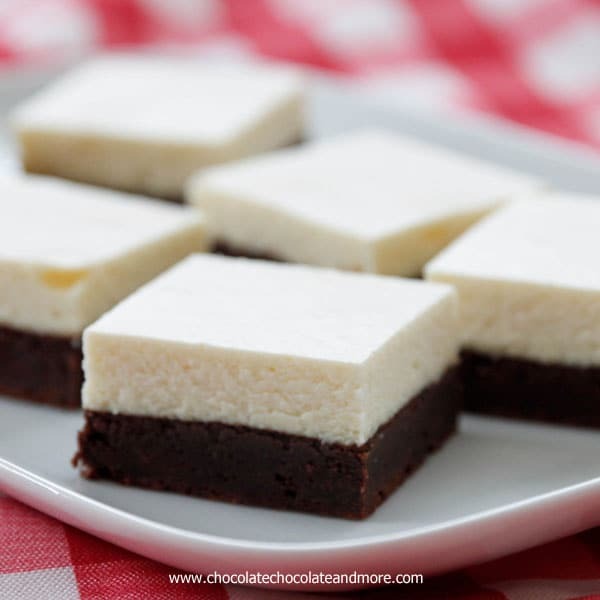 Um, that last picture, with the ooey gooey brownie? Drooling! The only thing better than brownies is combining them with pie–this is genius! 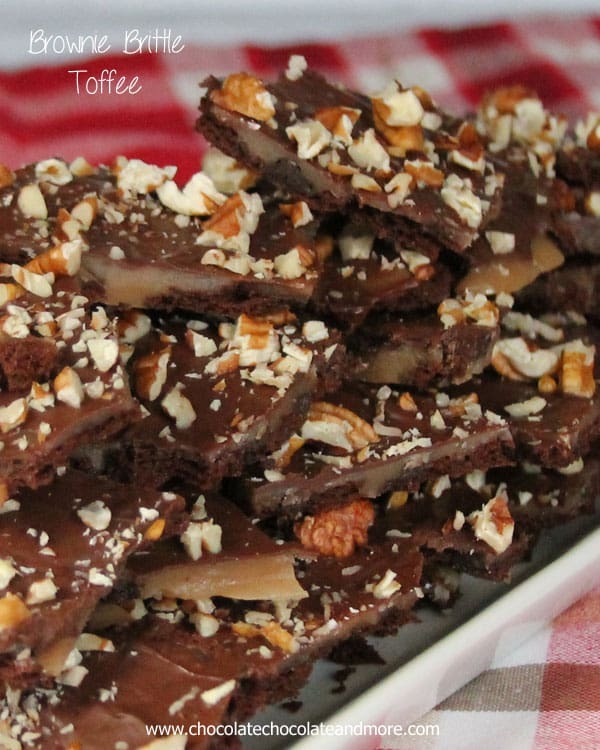 Your chocolate recipes always make my mouth water. Love this brownie recipe. My pie crusts don’t look perfect either but I’ve taken to using my ultimate crumb recipe for top and bottom crusts. The first piece for any pie is always a disaster. mm that looks so good. Thanks Hena, I hope you enjoy it!